When buying a house, potential buyers create a wish list of items they want. Then they decide if they are willing to pay the asking price in order to acquire the property. For many, the final decision is based on whether or not they can afford the mortgage payments. When investors buy a multi-family rental property they are also doing very similar number crunching, albeit at a much deeper level. 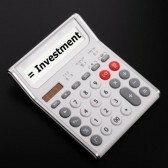 Investment property analysis is a pivotal exercise. A big part of being a real estate investor is analyzing deals. We perform an investment property analysis to see if the asset is worth acquiring. We look to see if we can service the debt. We also determine how much cash flow remains after all the expenses are paid. This is the net operating income (NOI). If this NOI is acceptable and will allow for a healthy positive cash flow, then it’s a property worth investigating further. We partner with private lenders to acquire these properties so we need to ensure the property can produce the returns we desire. When you analyze as many properties as we do, you need a system. Simple Acquisitions uses several formula driven spreadsheets and a multi-step process to help determine if a property is a viable acquisition. In the video below Marc will walk you through the initial number crunching exercise. You will see all the numbers that are considered during this primary review, and more importantly, how to interpret them. This preliminary analysis is just the 10,000 foot view. If a property meets the initial financial requirements, we dive deeper into more in depth number crunching. If you want to know more about investment property analysis then sign up for our Property Analysis video series below. This video is the first one in the series. There is some great information that will help you understand how deep we go in to the financials of a property before making a buying decision.